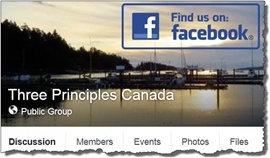 This page is simply meant as a resource for Canadians interested in the Three Principles. 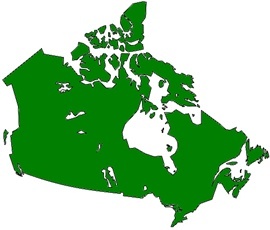 It will highlight the various 3P practitioners, events, and activities in Canada. It will also include stories of insight experienced by individuals across Canada. If you know of anything "3P Canadian" that would be beneficial to post here, please send an email to procrastinationpublications@shaw.ca. 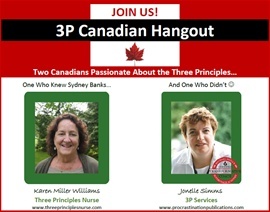 A monthly online/virtual hangout for any Canadians (or non-Canadians) to chat about, and share experiences, insights, and understanding of the Three Principles. It's very casual. We start with a topic, but always let the conversation go wherever it goes. The next planned date, time, topic, and link will always be posted in the 3P Canada Facebook Group. 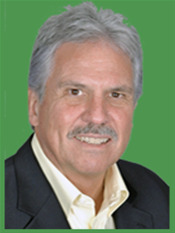 Dr. Mark Howard Events in Winnipeg Manitoba! Mark Howard will be in Winnipeg from May 17-20 offering two 1.5day Three Principles events... a workshop for the public and an intensive for those who are sharing the 3Ps with clients. Click the links below for details.